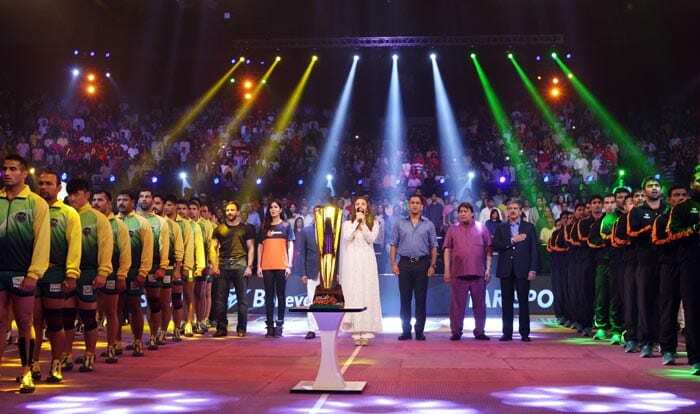 MS Dhoni was seen doing the 'Thigh Five' even as several Bollywood stars lit up what was a highly-charged Pro Kabaddi League 2015 final - eventually won by U Mumba. The actress is seen here with her Phantom co-star Saif Ali Khan. 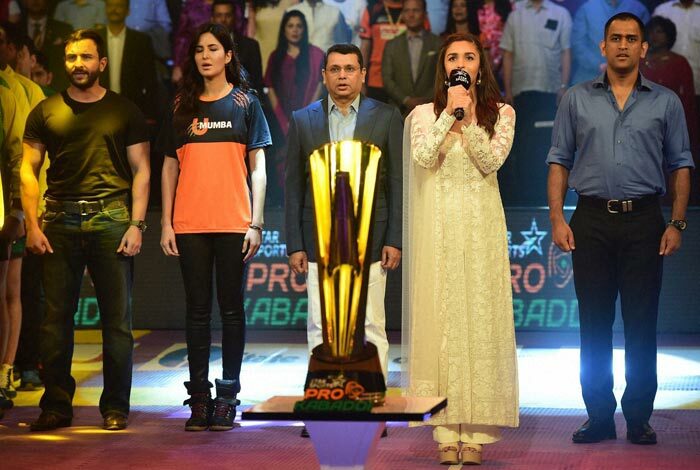 Saif, Katrina and Dhoni were joined by actress Alia Bhatt (in white) who sang the national anthem before the start of the title match. 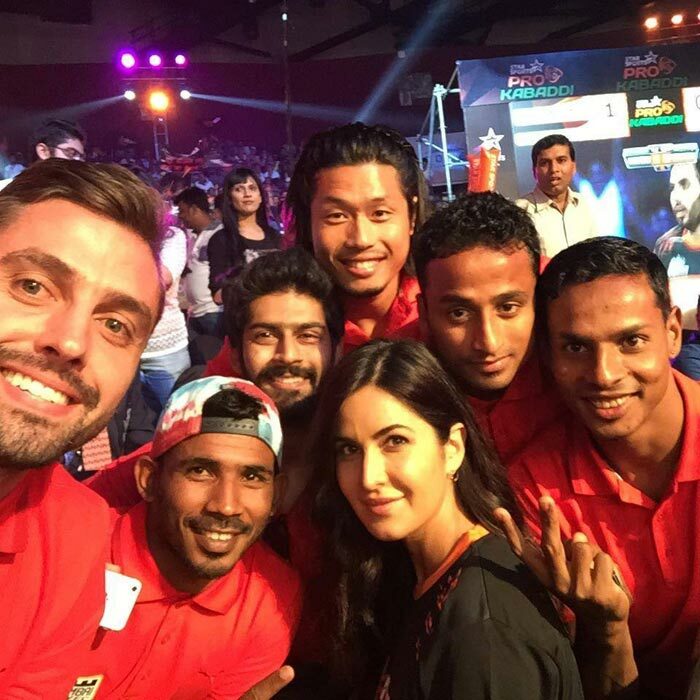 The celebrities are seen here with players from U Mumba or Bengaluru Bulls. 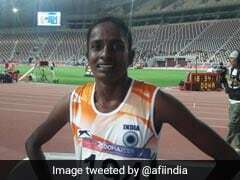 U Mumba eventually beat Bengaluru Bulls 36-30.